The High Priestess meaning and symbolism in detail. 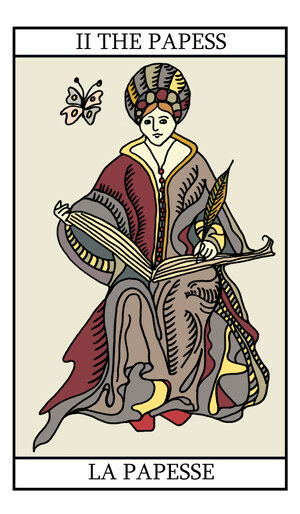 The complete guide to tarot cards, their meanings, spreads, readings and free online tarot readings. With live tel. readings, jewelry and our own deck.